Collects X-Treme X-Men (2001-2003) #24, 31-35. Mutants have declared a human-free zone in California. 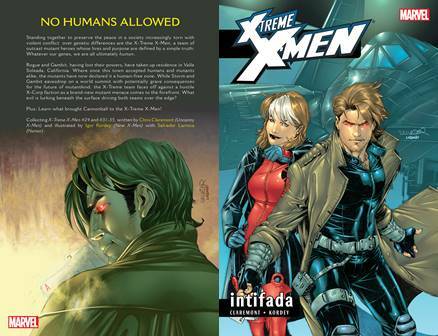 The X-Treme team faces off against a hostile X-Corp in California as a brand new mutant menace comes to the forefront. What evil is lurking beneath the surface driving both teams over the edge?